I LOVE Twitter Marketing. My reasons are many but primarily it is because they have an open API and I have a multitude of tools that I can use on my computer AND my iPad that make communicating with people easier. Additionally, there are so many fewer people there than on the Facebook that I have a chance to cut through the clutter and actually be effective. So why twitter marketing? 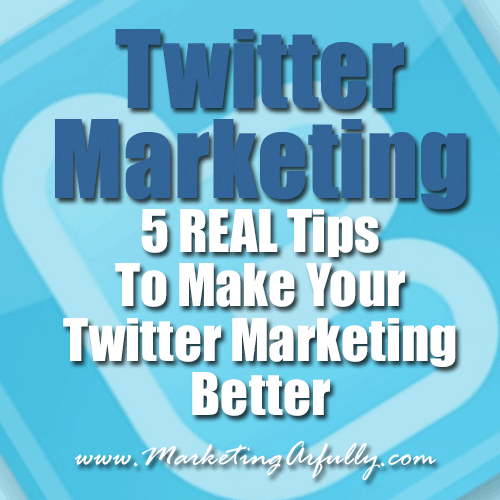 Here are my 5 best tips for how to make your Twitter Marketing better! You get to talk to talk to people who you would never have access to in real life! It is amazing to me that yesterday I had conversation (all-be it a REALLY short one) with best selling author Jay Baer who has a book coming out this week and who was promoting it on the Twitter. He posted something and I shared it with my networks. The funny thing about this is that we (Me and the Media Monster, Rebekah Welch) saw him at a conference we attended where he was the keynote. Now, he didn’t know-know me, but he did know my twitter handle (taradactyl – follow me!). At that same event, we met a lady who was a little, um, bossy and things could have taken a grouchy turn until I whipped out, “we are friends on Twitter! I am the Taradactyl” and immediately everything went from ho-hum to “oh my gosh” and “nice to meet you”. Twitter Tip: When you share something from someone you are trying to “meet” on twitter, make sure to include the @ sign and their twitter handle. 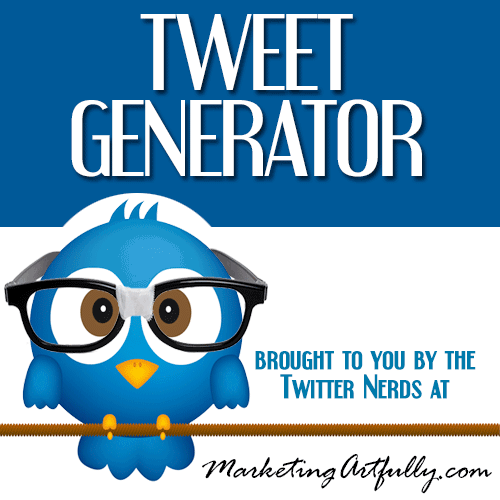 So in Jay Baer’s case, this was the tweet I shared.. Wanna help a great author? Pre-order Youtility by @jaybaer http://buff.ly/120E0CL can’t wait to get this one!!! There was nothing in it for me other than I am a fan and I think his stuff will help my peeps. Do enough of these and you WILL get noticed! I read a study, sorry I don’t have the link, that said at 24 posts per day on Twitter engagement goes down. So you could post 24 times a day and still not be seen as a spammer on Twitter – as long as your stuff is AMAZING and HELPFUL. What does that mean? I cannot post “Social Media Marketing Company – Denver CO” with a link over and over and expect anyone to follow me and share that. What I can post is information about marketing from other people, my blog posts, my videos, more information about marketing, and then, like one in 10 or 15 times a marketing message that is blatant. I have earned the right to do that by having such great content! Think about it, you post 24 times a day about your industry on Facebook and you would get dropped like a hot potato, if not banned from the network outright! Oh the complaints your loving friends and family would throw your way! Instead I would use the Tweet Generator to post these which look very different and will appeal to a broader range of people! Alright, this is a biggie that everyone talks about and no one really knows how to implement! You need to make a list of the same types of people who are your prospects using your customer demographics data. So one of my target markets is realtors. So I made a list of realtors on my twitter (https://twitter.com/TARAdactyl/realtors) – there are about 200 in there and growing every day. So why is that list helpful to me as a marketing person? 1. If I am going to be sharing something that is real estate marketing related, I can check out the realtors list first and retweet an article or two of theirs BEFORE I post my thing. Remember, just because I am following them and have them listed, doesn’t mean that they follow me yet or that I am on their radar at all! By doing that I can help them, they will probably swing back and thank me for sharing their things and check out my recent posts and profile. I KNOW, you are thinking that is A LOT of work for one retweet. Well, if just one of those people is really well connected you will notice that you get an additional 20 or 30 followers all at once. Now THAT is something worth getting. 2. Every once in a while I check who has me listed. Many times I will swing around and follow all those people who cared enough to list me. SO WHAT you think…well consider if you make a list of all the top industry leaders you know (or would like to get to know) and just 10 percent of them followed you because you listed them? Getting followed means that you have a chance to market and show your expertise in a way you would never have access to in real life! TweetAdder – I LOVE the tweetadder for setting up RSS feeds to autopost and also doing auto retweets (VERY selectively). Twitter Analytics – Seems weird that these live in the ads section – or maybe just a brilliant marketing ploy! There are the basics, if you have some more good ones, please leave a note it the comment section and I will check them out! Nicely enough, having multiple accounts does not violate the terms of service for Twitter. So why should you try to grow multiples? I have my main account that is sacred and my “real” place (taradactyl). BUT I also have an account that talks about nothing but email marketing (emailnerds). That is the “what’s in it for them account”. They don’t have to guess at whether they will “like” me, if they like email marketing, they will like what I post there! Twitter Tip: So how does that help? First off, I am getting followers who might never like me-me. Second off, I find lots of great things to post about email marketing because I find it interesting and I am not turning my main account into email marketing central. Lastly, I can, every once in a while, post something that leads to my free offer or a sales product we are selling that is relevant to that niche. Again, I have earned the right by posting LOTS of amazing stuff over there that is not spammy-spammy. Alright, I am not saying that this is my last plea for you to love the Twitter, but this is my best stuff. If any one thing resonated with you, PLEASE give it a try and see if you can’t get some traction! As always, if you have any good tips I missed, please leave a comment below!